Saigon Zoo and Botanical Gardens stands out as a fun and meaningful destination in Ho Chi Minh for both domestic visitors and foreign tourists. 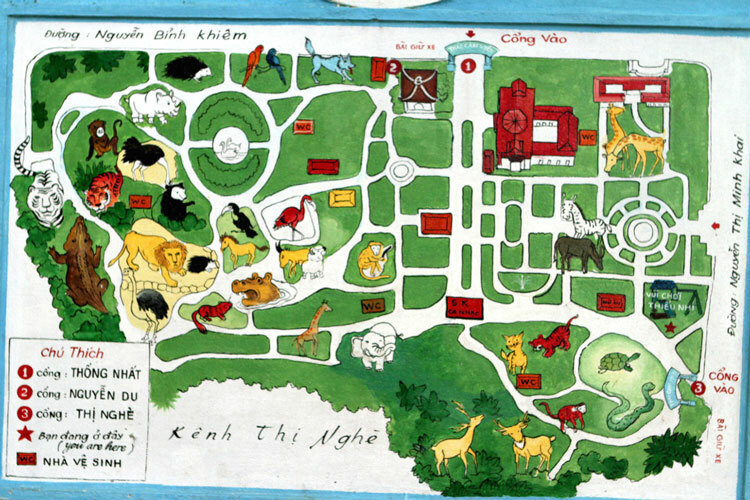 Dating back to 1865, it is considered not only the largest zoo and botanical gardens in Vietnam, but also the 8th oldest zoo around the world. It is an ideal spot for children to stay close to nature at best and sharpen their knowledge. At present, it consists of more than 590 different animals and 1,830 trees in the botanical gardens. Surprisingly, some of them even date back over 100 years. The Botanical Gardens impresses tourists with an enormous array of flora and fauna, i.e. 20 orchid types, 34 species of bonsai, and 32 species of cacti. Don’t forget to feast your eyes on a diverse range of animals, such as lions, monkeys, tigers, hippos, elephants, snakes and turtles. You may also witness rarer animals in the zoos, like the white tiger. Take a chance to take photos with multi-hues backgrounds! Kids will surely enjoy a fun time at the amusement park situated within the Saigon Zoo. Although creatures from every continent are displayed here, it is better to keep in mind that some of the zoo’s facilities aren’t still well-maintained. Two of the most popular exhibits in the zoo include the monkey enclosure and the bird aviary. So, make sure that you spend time visiting these areas. Walk around the northwest corner of the place where your family may chill out with a simple picnic on the grass under the lush trees. But, it is highly advisable to clean the picnic area before leaving. Along with diverse creatures and plants, Saigon Zoo and Botanical Gardens also contains the Museum of Vietnamese History and the World War I Monument in its vicinity. Stopping by the museum is a good way to learn more about the resounding history of Vietnam through watching thousands of significant documents and weapons from the French colonial era. 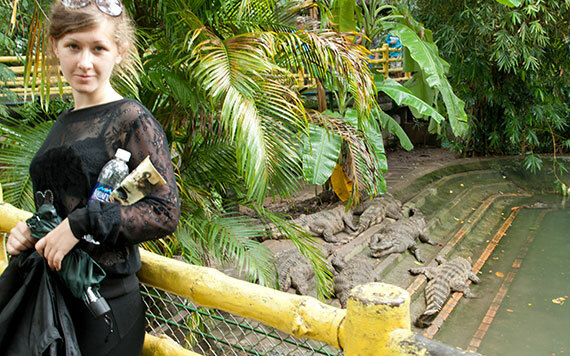 Located at the city’s center, the zoos can be easily reached by taxi, public transports and motorbike. It is open daily from 5 AM to 4 PM, except for Sunday (5 AM to 12 PM). There is a small entrance fee that you must pay to have full access to the entire park (Adult ~$2.5, Children ~$1.5). 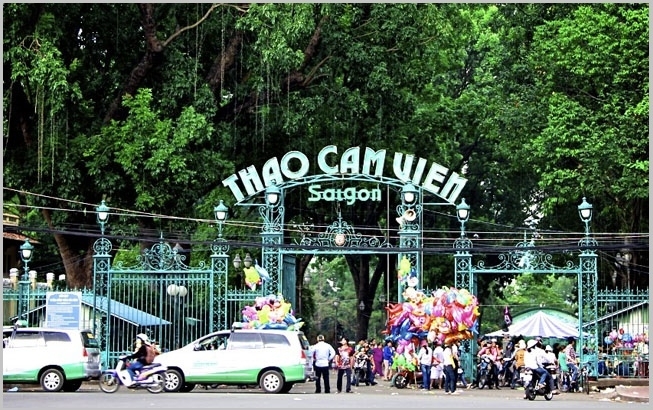 Two main gates are available to enter: one from Nguyen Binh Khiem Street and the other from Nguyen Thi Minh Khai Street. 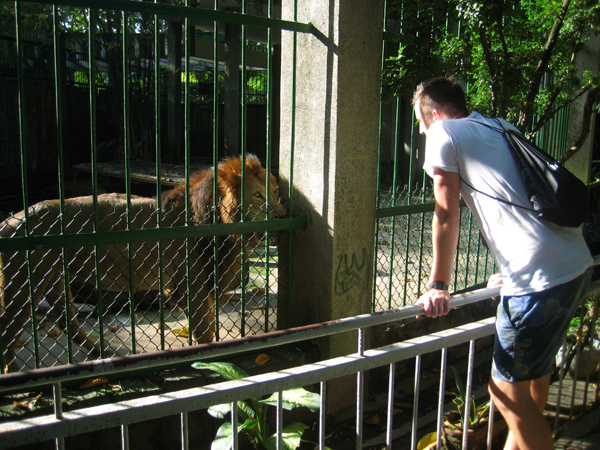 There are some nice tips you should keep in mind for a perfect trip to Saigon Zoo and Botanical Gardens. First of all, avoid setting foot in the peak hours and weekends as it is considered the most crowded. Second, take some time to check its own website so that you may luckily find some special offers and hot deals about the entrance fee, for instance. Third, if going with kids, you should not allow them to feed or instigate animals. This can be harmful. Of course, disabled access may also be available. So, be careful, please!